From individuals to countries, we often want to persuade others to perceive things a certain way or to think a certain way. There are many standard techniques for doing this. Below are some of them. You can use these techniques to do your own persuading, and you can also use this knowledge to keep yourself from being fooled. Objects can be made to look larger, smaller, closer, or farther than they really are. 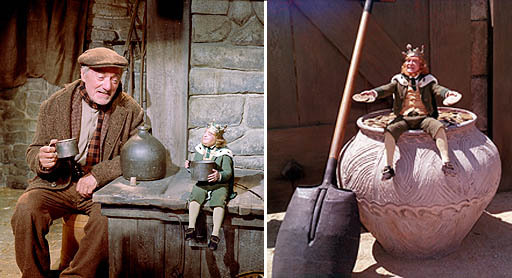 The guy playing the leprechaun looks small in the right picture because he is sitting on a large replica of a pot and holding oversized coins. The large fake shovel helps. The left image is trickier. The leprechaun is actually sitting much farther away from the camera, but the set is built making the table he is sitting on look like the same table the other man is leaning on. It appears that they are the same distance from the camera with him smaller. Recent movies like the Lord of the Rings and Harry Potter use similar tricks to make their characters look larger or smaller than they really are. Forced perspective is aided when the far object seems to be in the contact with the closer item. 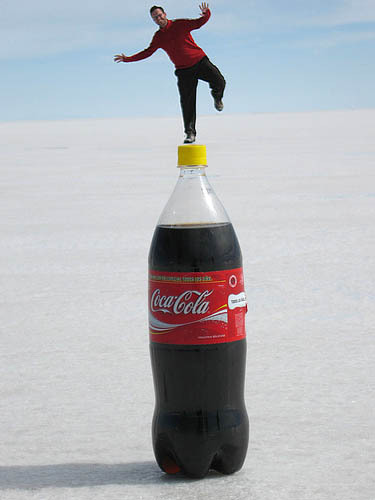 In this picture it is easier for us to believe the man is standing on a large Coke bottle (or he is small and the bottle is normal size) rather than thinking the man is far behind the Coke bottle. These are called "in camera" tricks because a photographer can create this trick without having to retouch the photo later. You can do this with your cameras (video, film, or digital). Again, the clues in a picture (like his foot touching the bottle cap) can make us interpret something much different than reality. 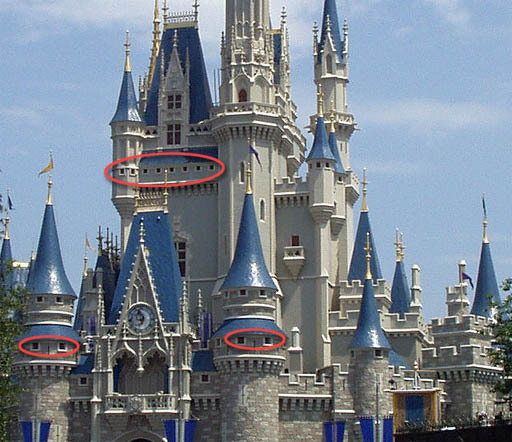 Disney World in Florida had a height restriction for their Cinderella's Castle. So they used forced perspective to make it look taller. As tourists we assume that the lower windows and the upper windows are the same size but the upper ones look smaller because they are high up on the castle. It is true the higher ones would look smaller, but upper windows were purposely made smaller than the lower windows forcing us to interpret the castle as being taller than it actually is. 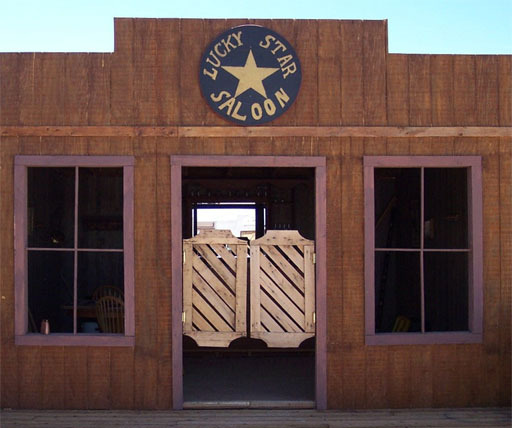 We've all seen westerns where the cowboy enters the saloon through the front door. Movie makers use forced perspective to fool us in interpreting the height of the different characters. For characters who are suppose to seem big and tall, they shoot the scene with a door that is much shorter making that person appear taller. The scene is edited to make us think it's the same door, but it isn't. Also, a leading man can be made to look tall compared to the leading lady even if she is the same height by making one side of the door taller than the other. The man stands on the shorter side. Roll mouse over image to see altered door. The camera is placed closer to the short side of the door making that side of the door seem taller. At an angle the door can be made to look square. The man can appear to be a few inches taller. Many of our shorter leading men actors have been made to look taller using these techniques. Fisheye Lens: The fisheye lens allows the camera to get close to an object while still keeping the items farther away in focus. This makes the close item seem much larger than it really is. 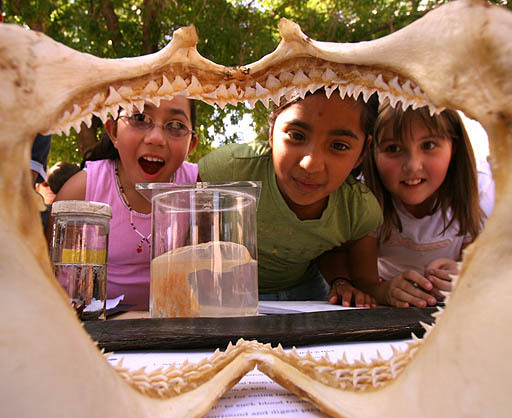 I was able to hold the camera close to the shark's mouth and still have the girls in focus. This makes this 6 inch wide shark's mouth seem about 2 feet wide or more. 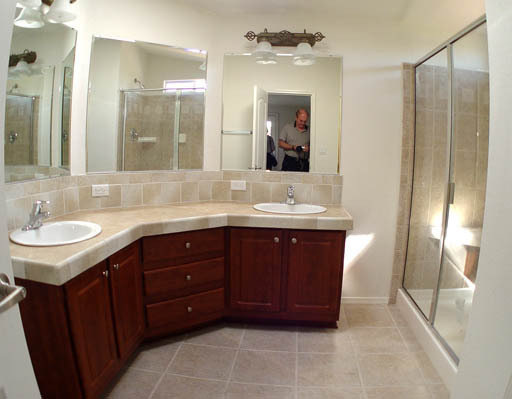 Fisheye Lens: Realtors love the fisheye lens because it allows them to get a full view of rooms. They also like it because it makes rooms look much deeper and larger than they really are. You can often tell if a fisheye lens is used because items near the left and right edges will be curved. Empty Top: Packages that contain more expensive items will often just let you see through the bottom portion of the package. Consumers will think the contents fill the whole package but it doesn't. 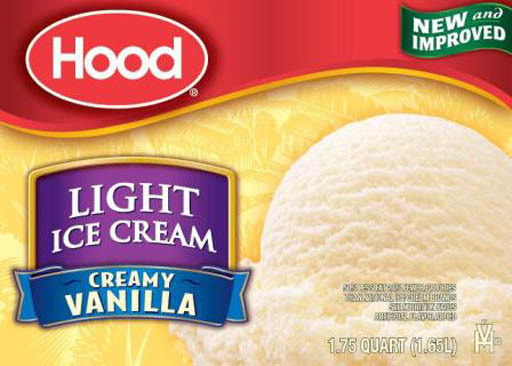 Air at $361 per pound: Ice cream manufactures love to promote their "light" ice cream. They promote it as having less fat and fewer calories, but they never mention that's mostly because air is added. All ice cream has a certain amount of air added. Some have only 10% air, but others can increase their volume by 100%. They call this "overrun". So a gallon of ice cream can be a half a gallon of ice cream and half a gallon of air. At $4 for the carton, you are paying $2 for the half gallon of air. This half gallon of air weighs about 2.5 grams. 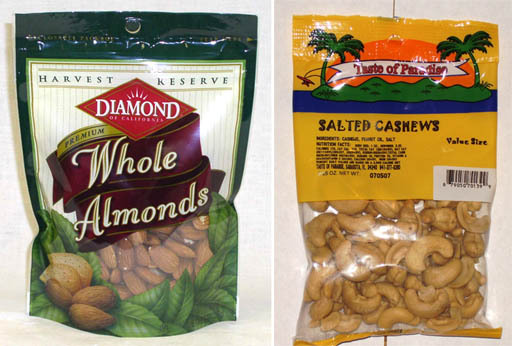 Multiplying $2 per 2.5 grams times 454 grams per pound gives us $361 per pound (grams cancel). Note: Ice cream is sold by volume and there's no requirement for showing how much air is in the ice cream. Air at $2,625 per pound! : Yogurt manufactures have also made products that are whipped with air. At least these are sold by weight so the consumer can know how much air is present. 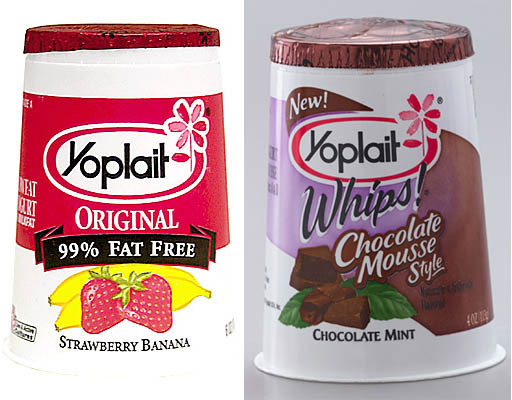 Here is Yoplait Original that weighs 6 ounces and Yoplait Whips that weighs 4 ounces. They have the same volume which means Yoplait Whips have 1/3 of its volume as air. I measured the volume and it was 120 milliliters. That means 1/3 of the 120 milliliters (or 40 mL) is air. Both cost about 90 cents so that means 1/3 of the 90 cents (30 cents) went to buying 40 ml of air. That's 14 times more expensive than silver and only about 1/3 the cost of gold. You can see why manufacturers love to sell the "light" or "whipped" versions of their products. Trick #4: Altered Versions of Familiar Items. 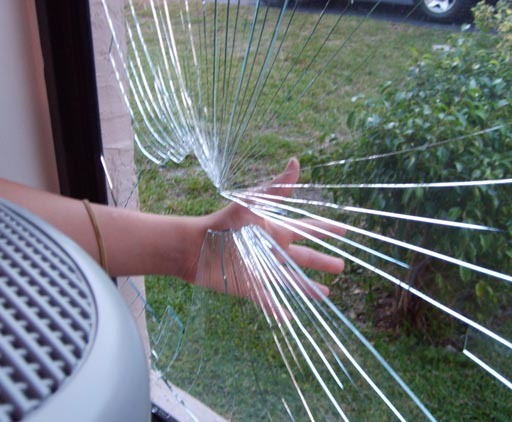 We are all familiar with glass and we know how hard it is plus we know that it can cut us. So that's why we are impressed when an actor jumps through a glass window or gets hit on the head with a glass bottle. Hollywood has made this stunt safer by not using glass but sheets of sugar or, more recently, silicone glass (also called rubber glass). You've heard of silicone rubber sealant. It's a form of that. There's many items now made from this glass look-alike. 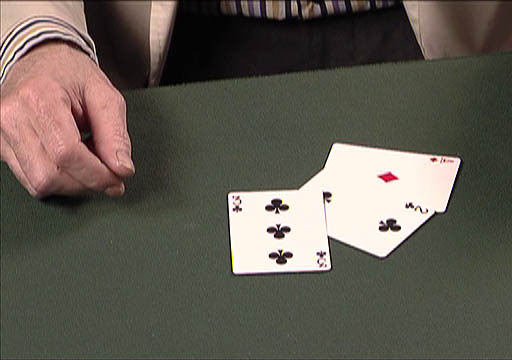 Card tricks depend not only on slight of hand but on specially designed cards like "gaffed" cards (altered decks). The common altered decks are the Svengali Deck, Stripper Deck, Invisible Card Deck, Brainwave Deck, and more. I don't want to reveal how these decks work, but they all take advantage of the fact that we are familiar with playing cards. In the past and now, commercials and advertising are usually easy to spot. To sellers that's a problem because buyers can dismiss it as just an advertisement. Consumers often try to skip over the commercials. A more subtle form of advertising is product placement. It can promote a product without the consumer's brain turning on the defense mechanisms that it usually does when it sees a commercial. Companies like to place products in movies because it the audience is in a mode of absorbing the images and story of the movie. Plus, the audience can't fast forward through anything that seems like advertising. In the movie, iROBOT, Will Smith's character gets his new "vintage" Converse sneaker and calls them, "A thing of beauty." Later in the movie, Will's boss compliments him on the shoes. 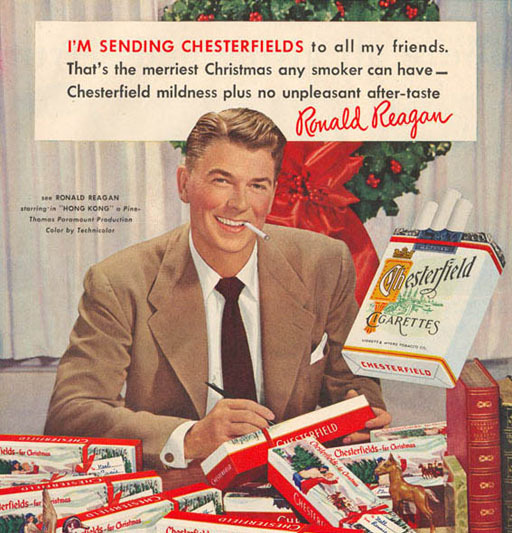 This wasn't subtle and has been criticized for blatant product placement. For me, it nearly ruined an otherwise good movie. A futuristic Audi was also featured in the movie but there wasn't any extraneous comments about it. (roll cursor over image to see it). In the first sequel to Jurassic Park, there are two obvious product placements. 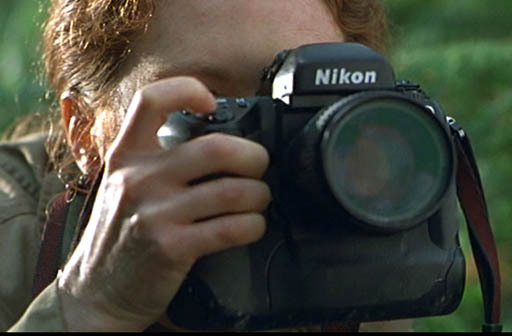 There first one is the Nikon camera. The second was the JVC camcorder (roll cursor of image to see it). JVC planned an advertising campaign around the camera's placement in the movies. In magazines at that time, JVC showed dinosaurs in the viewfinder of the camera. 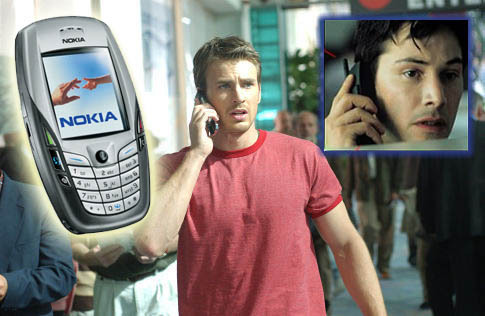 Another Nokia phone was made more popular by product placement in the movie, Matrix. Branding: A favorite form of product placement is to place the brand name on the items being sold. That way the people wearing the item are walking billboards. The more people see a brand the more they think it's the right brand to buy. Imagine walking along to class and you overhear some people talking about a great new music CD. Later that day, you see someone with the CD laying on top of their textbooks. To you it seems that your peers have discovered something new and hot, so you buy the CD. Unfortunately, you may have been a victim of a very deceptive form of product placement where people are hired to brag about a product in public. Those around these hired actors are easily fooled in thinking they are hearing an honest judgment of the product. Similar to the above trick of hiring people to play ordinary people is the trick of using the audience plant. This is a person that is planted in the audience and pretends to be part of the audience. However, that person is paid to yell out something, come on stage, or other things. The audience feels that person is just one of them and thinks that person's reaction would be similar to their own. In both of the movies The Illusionist and The Prestige the magicians make use of plants to get the response they want. In the movie, Leap of Faith, Steve Martin would use audience plants to listen in on people's conversations. That information was passed on to Steve Martin so he could appear to have divine knowledge. Some plants would even place money into the audience pockets so that they could witness a "miracle." 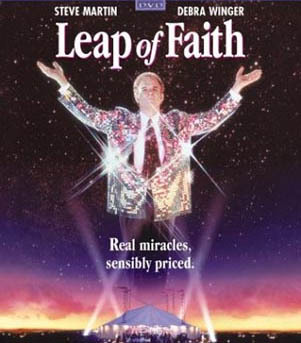 The movie borrowed heavily from a book, The Faith Healers, by magician James Randi that investigated certain faith healers and discovered the many tricks that were used. Many performances use an audience plant but by the end of the skit, it becomes obvious that that person was just an another member of the act. These types of audience plants are harmless because we are let in on the secret. Laugh Track: The laugh track is a form of an audience plant. When you hear a laugh track you are suppose to be thinking that the audience (including yourself) should be laughing. 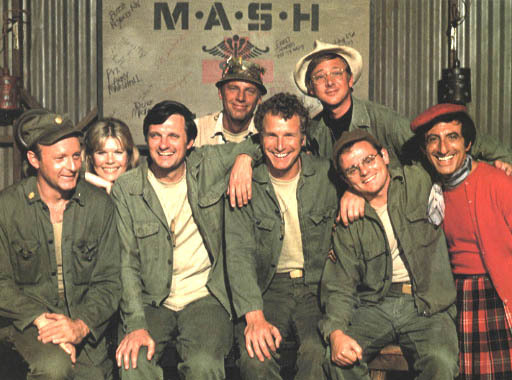 The creator of the M*A*S*H series did not want a laugh track but had to compromise to CBS by letting it be used outside of the operating room scenes. The DVD of the series allows you to turn off the laugh track. 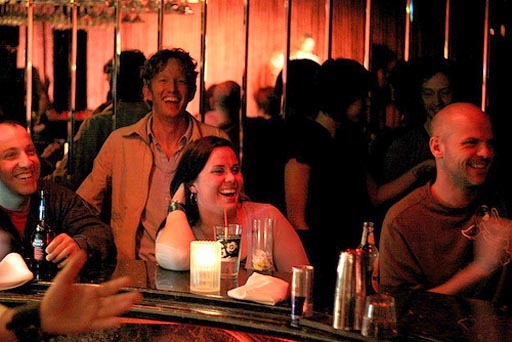 For live audiences like at comedy clubs or live TV shows, there are stories of people hired to be there because they had such an infectious laugh. I had a student in one of my classes who reacted noticeably to my jokes or surprises. Her reaction got the whole class to react. I had wished she was in all my classes. 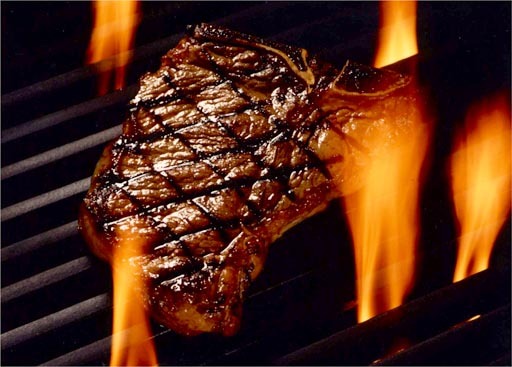 A good salesman knows that consumers buy more often when you "sell the sizzle, not the steak." This analogy comes from the idea that hearing the sizzling of a steak conjures up more apetite than just looking at the steak. In other words, don't spend time discussing the details of the product when you can emphasize the benefit. Also, the product may not be good, so it's better just to talk about the "feel good" aspects of it. 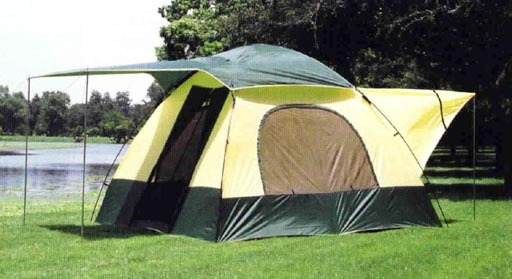 For example, say you are selling a tent. Don't spend time talking about the materials that make the tent, just talk about the great fun a family will have camping out in this tent. This approach is even more important when the quality of the item is poor. Automobile commercials are good followers of "selling the sizzle, not the steak." They show their vehicles in the most idyllic places with drivers having the road to themselves. If it's an SUV or pickup, they usually don't even show it on a road but on a mountain top or sand dune (roll cursor over image). Only the best features and the best benefits are shown. This trick is related to Selling the Sizzle, not the Steak because they both require you to hide the negative aspects. This is also related to "misdirection" which means to draw attention to something in order to avoid attention on something you don't want people to notice. I find it almost comical what some food items emphasize. For example, I've seen items that are mostly sugar (like lollipops) use prominent labels that say "Fat free and cholesterol free." Then I've seen items that are mostly fat, brag about being sugar free. In other words they hide their own content by bringing attention to what they don't contain. 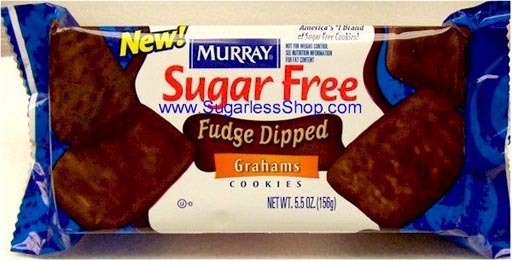 Sugar free cookies are similar. The carbohydrates (like starch) in all cookies breaks down to sugar as they go through the digestive tract. So they aren't really sugar free, but it sounds good and they produce less of a sugar rush. Tell them what it doesn't have. Here they say they now have zero grams of trans fat (explained in later chapters). It doesn't advertise its high levels of saturated fats. At the Crisco website, they say, "All Crisco® products are cholesterol-free, gluten-free..." Again they stress what it doesn't contain to avoid talking about what's in it. Gluten is a protein in cereals like wheat and rye. Some people cannot tolerate gluten, but that shouldn't be in shortening anyway. Because potatoes are traditionally either fried in oil or covered with butter, sour cream, and salt, Green Giant apparently wants to counter those negative connotations. 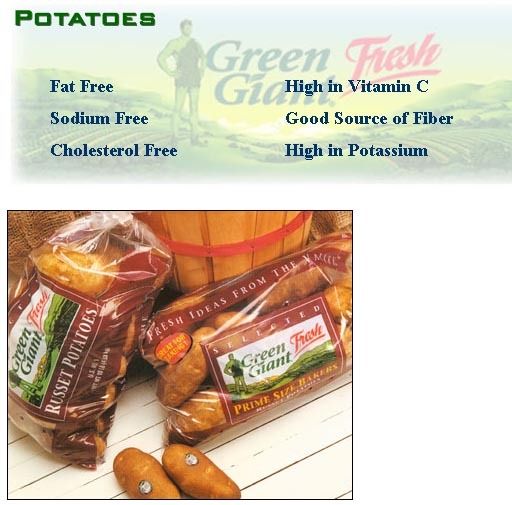 Here they remind people that potatoes are fat free, sodium free, and cholesterol free. It's rather obvious that a vegetable would not have these. They also say high in vitamin C and potassium but won't say high in carbohydrates, since that's a negative side of potatoes. The Power of Suggestion encompasses most of the tricks discussed above. The way something is judged is influenced by the conscious placement of something else with it. Below is an example of images taken from some online carpet cleaning companies. Click through the images to see my comments on how the power of suggestion enhanced or diminished their advertisement. You will also have your impressions. The text suggests what you should see in the picture. 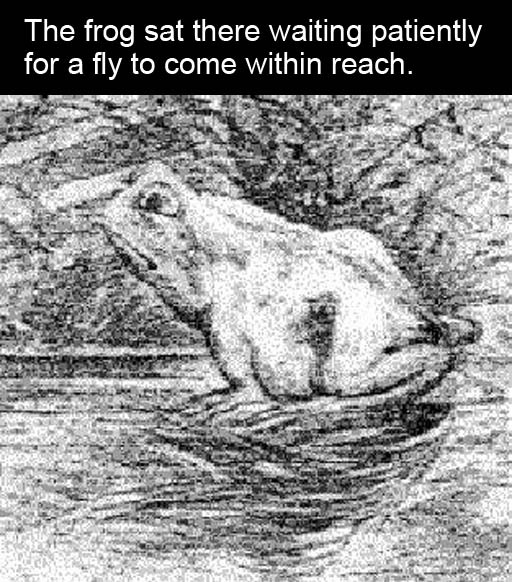 Roll cursor over image to read new text and then see what you see. Again, the text suggests what you should see in the picture. 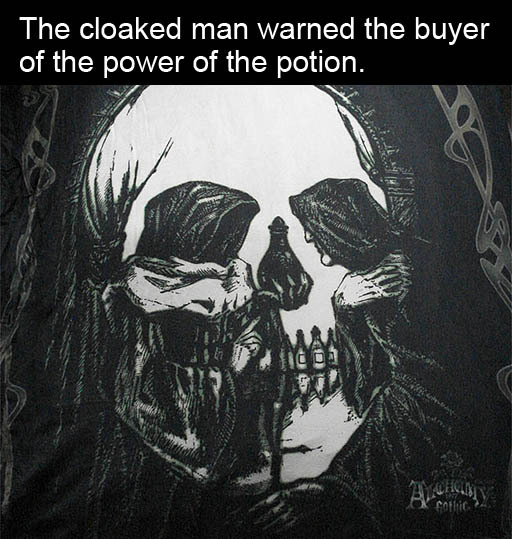 Roll cursor over image to read new text and then see what you see. 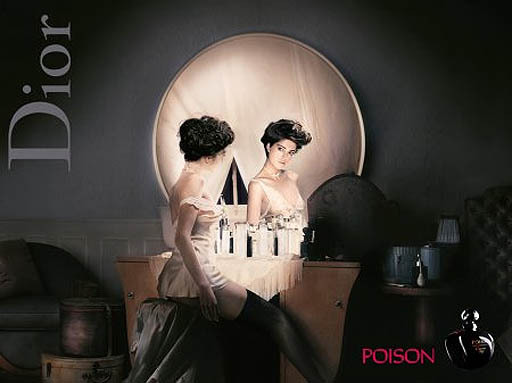 Christian Dior used the ambiguous skull image to promote the perfume called Poison. The painting is called "Pierrot's Love". 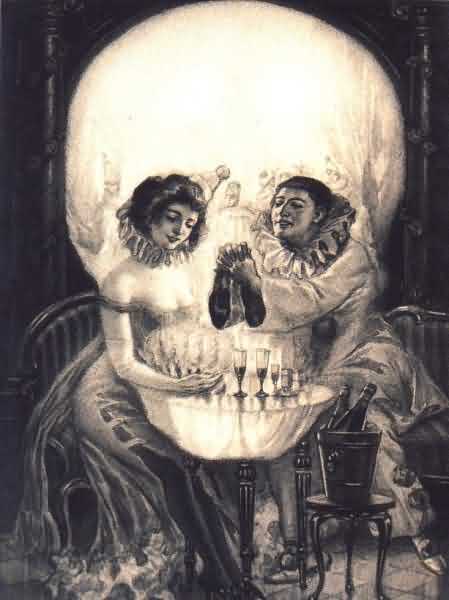 It was painted in 1905 and is another good example of ambiguous image. I think it is brilliant that the cuffs of the clown's costume makes the nostril holes of the skull. Again, the power of suggestion can sway your interpretation one way or the other. As you think of the words, woman, man, jazz, saxophone, liar, and glasses notice how thinking those words changes your perception of these images. "Add a little spice to your life with Wild Oats certified organic mustard! 100% fat and cholesterol free; no artificial colors, flavors, or preservatives." It's funny that a person eating a hot dog and potato chips would be worried about fat in the mustard. 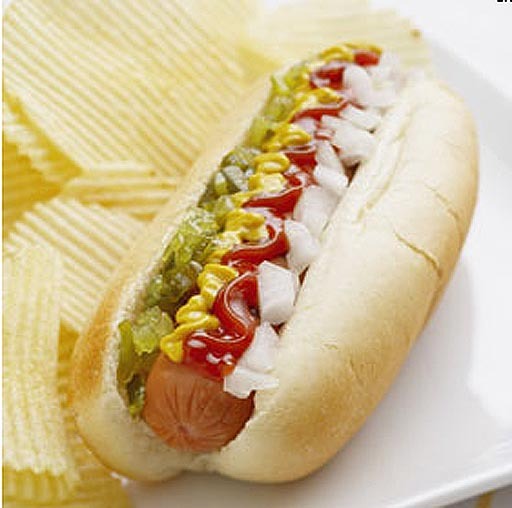 The suggestion here is that eating hot dogs and potato chips are OK if your mustard has no cholesterol or fat.